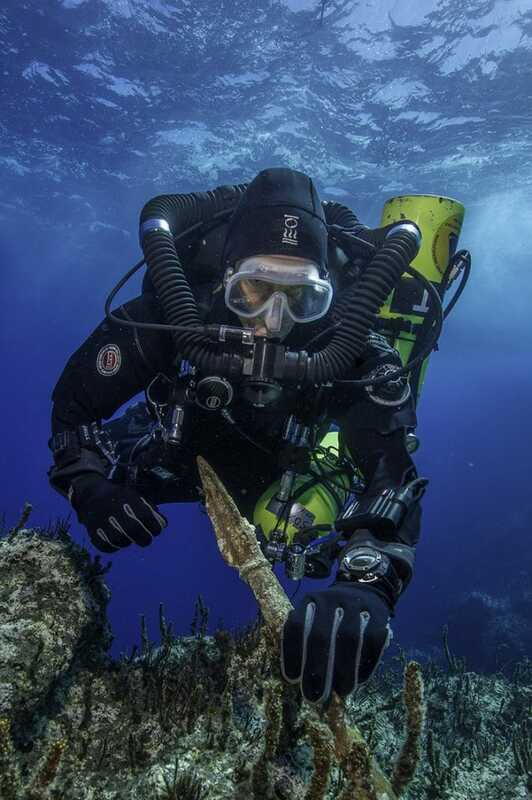 A Greek and international team of divers and archaeologists has retrieved stunning new finds from an ancient Greek ship that sank more than 2,000 years ago off the remote island of Antikythera. The rescued antiquities include tableware, ship components, and a giant bronze spear that would have belonged to a life-sized warrior statue. The Antikythera wreck was first discovered in 1900 by sponge divers who were blown off course by a storm. They subsequently recovered a spectacular haul of ancient treasure including bronze and marble statues, jewellery, furniture, luxury glassware, and the surprisingly complex Antikythera Mechanism. But they were forced to end their mission at the 55-meter-deep site after one diver died of the bends and two were paralyzed. Ever since, archaeologists have wondered if more treasure remains buried beneath the sea bed. 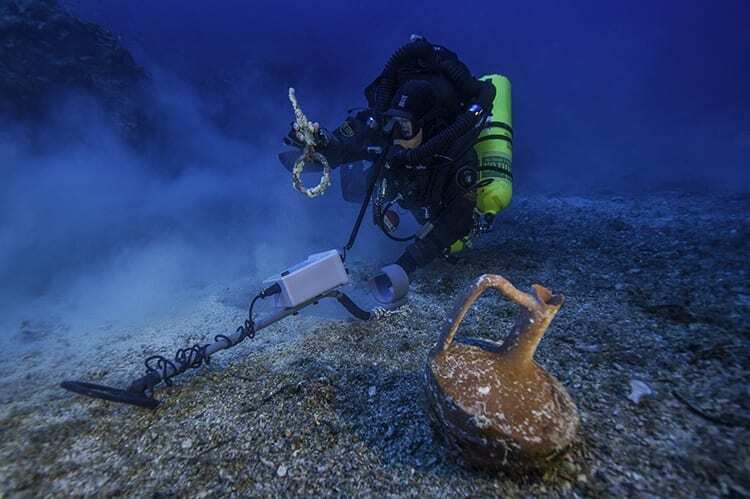 Now a team of international archaeologists including Brendan Foley of the Woods Hole Oceanographic Institution and Theotokis Theodoulou of the Hellenic Ephorate of Underwater Antiquities have returned to the treacherous site using state-of-the-art technology. During their first excavation season, from September 15 to October 7, 2014, the researchers have created a high-resolution, 3D map of the site using stereo cameras mounted on an autonomous underwater vehicle (AUV). Divers then recovered a series of finds which prove that much of the ship’s cargo is indeed still preserved beneath the sediment. Components of the ship, including multiple lead anchors over a metre long and a bronze rigging ring with fragments of wood still attached, prove that much of the ship survives. The finds are also scattered over a much larger area than the sponge divers realized, covering 300 meters of the seafloor. This together with the huge size of the anchors and recovered hull planks proves that the Antikythera ship was much larger than previously thought, perhaps up to 50 meters long. The archaeologists also recovered a beautiful intact table jug, part of an ornate bed leg, and most impressive of all, a 2-meter-long bronze spear buried just beneath the surface of the sand. Too large and heavy to have been used as a weapon, it must have belonged to a giant statue, perhaps a warrior or the goddess Athena, says Foley. In 1901, four giant marble horses were discovered on the wreck by the sponge divers, so these could have formed part of a complex of statues involving a warrior in a chariot that was pulled by the four horses. The shipwreck dates from 70 to 60 BC and is thought to have been carrying a luxury cargo of Greek treasures from the coast of Asia Minor west to Rome. Antikythera stands in the middle of this major shipping route and the ship probably sank when a violent storm smashed it against the island’s sheer cliffs. The wreck is too deep to dive safely using regular scuba equipment, so the divers had to use rebreather technology, in which carbon dioxide is scrubbed from the exhaled air while oxygen is introduced and recirculated. This allowed them to dive on the site for up to three hours at a time. The Woods Hole Oceanographic Institution is a private, non-profit organization on Cape Cod, Mass., dedicated to marine research, engineering, and higher education. Established in 1930 on a recommendation from the National Academy of Sciences, its primary mission is to understand the ocean and its interaction with the Earth as a whole, and to communicate a basic understanding of the ocean’s role in the changing global environment. For more information, please visit www.whoi.edu. 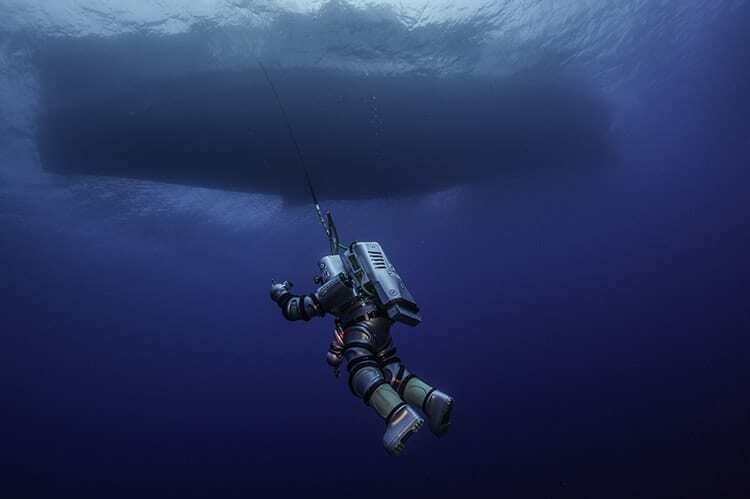 From Oceanus Magazine: Archaeologists return to Antikythera with advanced ocean technology.